Editor’s note: The following guest post is by bestselling author and former venture capitalist Peter Sims. His next book is Little Bets: How Breakthrough Ideas Emerge from Small Discoveries. He can be found on Twitter @petersims. In his recent article on TechCrunch, “Engineering vs. Liberal Arts: Who’s Right—Bill or Steve?,” Vivek Wadhwa sparked a national debate about education that raises important questions for us all. If you haven’t read the article yet, Wadhwa, a professor at Berkeley and Duke University, surveyed 652 chief executive officers and heads of product engineering at 502 U.S. technology companies and found that only 37% held engineering or computer technology degrees, and just 2% held mathematics degrees. The rest had a wide range of degrees, from business to the humanities. Yet in industry and education circles, STEM – teaching science, technology, engineering, and mathematics – has gained cult-like status as the primary solution to our national innovation challenges. Earlier this year, President Obama announced a $250 million public-private initiative to recruit and train 10,000 more STEM teachers. Bill Gates is one of the leading proponents of STEM while, as Wadhwa notes, implying that other educational investments, such as the liberal arts, should be curtailed. But while investment in STEM is critical, it alone neglects the development of the types of skills that actually lead to discovery, creativity, and innovation. 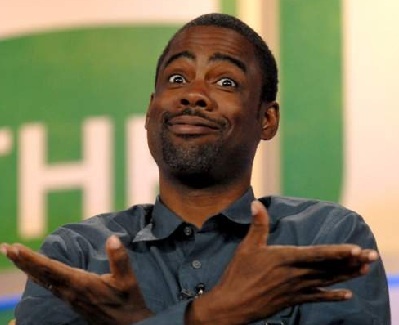 So, for instance, when comedian Chris Rock performs on HBO, the work is widely considered brilliantly creative, yet his routines, as with all stand-up comedians, are the output of what he has learned from thousands of little bets in small clubs, nearly all of which initially fail. (As Stanford Professor Bob Sutton notes, writers for The Onion, known for its hilarious headlines, propose roughly six hundred possibilities for eighteen headlines each week, a 3 percent success rate.) Rock must persistently tinker using an iterative approach to discover and develop fresh material. And the cycle repeats, day in, day out. Similarly, as I described in my last TC guest post, despite the myths, most successful entrepreneurs don’t begin with brilliant ideas, they discover them. It’s an approach that can be learned and taught, but rarely is in today’s schools. That’s because our educational system emphasizes spoon-feeding us knowledge, such as scientific tables or historical information, and then testing us in order to measure how much we’ve retained about that body of knowledge, rather than teaching us how to create knowledge. Utilizing existing knowledge works perfectly well for many situations, but not when doing something new, creative, or original. We are given very little opportunity, for instance, to perform our own original experiments, and there is also little or no margin for failure or mistakes. We are judged primarily on getting answers right. There is much less emphasis on developing our creative thinking abilities, our abilities to let our minds run imaginatively and to discover things on our own. In an extensive, six-year study about the way creative business executives think, Professors Jeffrey Dyer of Brigham Young University and Hal Gregersen of INSEAD, surveyed over three thousand executives and interviewed five hundred people who had either started innovative companies or invented new products, including the likes of Steve Jobs, Amazon’s Jeff Bezos, and VMware’s Diane Greene. These findings raise critical questions for us all. Specifically, what is the purpose of education? Is it to convey knowledge, as the current system is weighted, or it to inspire and nurture the ability to constantly learn? Even though it’s too late for most of us to attend Montessori, we can change the way we’ve been trained to think. That begins in small, achievable ways, with increased experimentation and inquisitiveness. Those who work with Jeff Bezos, for example, find his ability to ask “why not?” or “what if?” as much as “why?” to be one of his most advantageous qualities. That’s why, borrowing a phrase from Ryan Jacoby, an associate partner atIDEO: questions are the new answers.